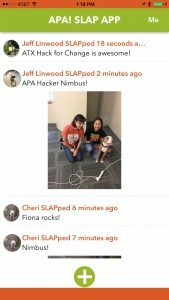 ATX Hack for Change: Volunteer Recognition App for Austin Pets Alive! Austin’s no-kill animal rescue organization, Austin Pets Alive! had the honor of being selected as one of the possible projects for the ATX Hack For Change at St. Edwards University on June 2-4, 2017. My wife Cheri and I ran into one of the organizers at OSCON in early May, and we were able to submit a volunteer recognition app project that APA! needed, but hadn’t developed yet. Austin Pets Alive! 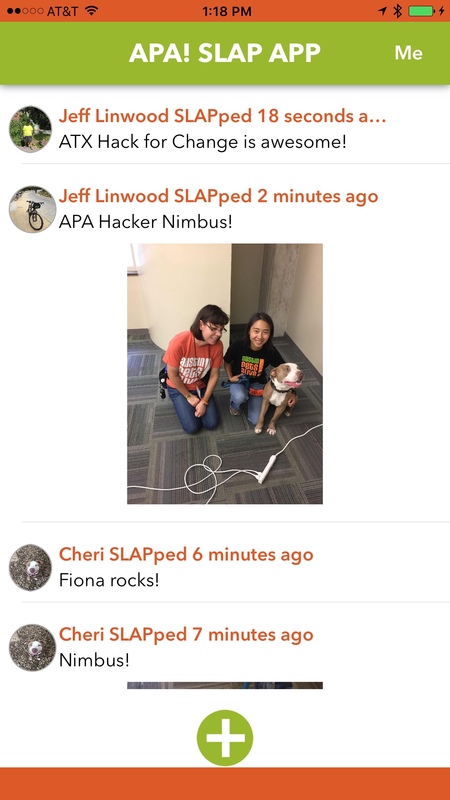 brought a team of hackers (Cheri Linwood, Beth Qiang, Walter Moreira, and myself), along with two dogs (Nimbus and Shorty). Nimbus and Shorty didn’t contribute much in the way of code or ideas, but they did provide puppy power for the hackathon. As for the technical details – the volunteer recognition app uses Swift for the native mobile app on iOS, and Firebase as the back-end server for everything (Firebase Auth, Storage, Database). Check out the MIT-licensed source code here on my GitHub at https://github.com/jefflinwood/volunteer-recognition-ios. This was the result of about 12 hours of coding over the weekend. One of my big goals was to find a visual designer at the hackathon, but they were few and far between, so I did the visual design myself. Luckily, APA! has pretty strong colors, so that makes up for a lot.